The revolutionary aerodynamics system is one that even the Pagani Huayra would envy. We knew that once Volkswagen took over Lamborghini, the Italian automaker would lose a bit of its rough edges and build some truly impressive cars. Vehicles like the Aventador are a perfect example of this, but the Huracan Performante, the Lamborghini we heard about ever since rumors of the patented Performante moniker emerged and spy shots of a mysterious camouflaged Huracan sporting a rear wing came to light, is the type German/Italian car hybrid we were hoping for. Now, just a day before the doors to the 2017 Geneva Motor Show officially open, the Italian automaker has released the Performante. Central to its extreme performance metrics, which helped propel it past the Porsche 918 to become the fastest production car around the Nurburgring (although that claim has come into question), are an increase in power output, a reduction of weight, and active aerodynamics. 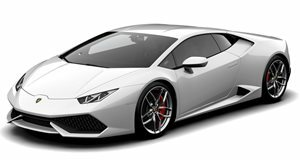 To balance the character of an incessant lap time pursuer and a dynamic on-road performer, Lamborghini used carbon fiber and aluminum for the frame as well as its signature forged composites technology to mold the front and rear spoiler, the engine cover, rear bumper, and aerodynamic diffuser. This move shaved 88 pounds off compared to the standard Huracan. An active aerodynamic system cleverly named ALA for its dual meaning as the word “wing” in Italian and an acronym representing the phrase Aerodinamica Lamborghini Attiva (Active Lamborghini Aerodynamics) is made up of an active front spoiler and a clever air management system for the rear wing that allows it to act as an active wing albeit without moving parts on the actual wing. Four vents perforate the rear engine cover with the two center vents remaining open full time to allow for exhaust cooling and under hood ventilation. The two outboard vents can open and close in less than 500 milliseconds to manipulate the rear wing. The system saves weight by 80% over a conventional hydraulic system and takes advantage of the two pillars holding the rear wing in the air to further exploit the air for the aerodynamic needs of the car. When under hard braking or cornering, the flaps remain closed allowing the rear wing to act as a fixed structure, increasing downforce by up to 750% over the Huracan coupe. When undergoing full-throttle acceleration or a top speed run, the vents open to reduce drag and make the Huracan Performante more slippery. The system is intelligent enough to vary the opening of each flap to enable one side of the car to be pushed down more than the other midway through a corner, much like the Pagani Huayra does. This flap system works together with active aerodynamic flaps inside the front spoiler for greater effect. Motivating this wind manipulating machine is an updated version of the naturally aspirated 5.2-liter V10 engine, which gets a revised exhaust with less back pressure, updated engine fluid dynamics for the intake and exhaust, and titanium valves to help it make 640 horsepower and 442 lb-ft of torque, with 70% of the latter figure being available from 1,000 RPM. Matching the new torque curve is a revised seven-speed dual clutch automatic sending power to all four wheels, which helps the supercar accelerate from 0-62 mph in 2.9 seconds and hit 125 mph in 8.9 seconds on its way to a 203 mph top speed. Premium 20-inch alloy wheels wrapped in Pirelli P Zero Corsa tires grip the roads while track-optimized Pirelli Trofeo R rubber is available in order to break lap records. Ventilated and cross-drilled carbon ceramic brakes (six-pistons up front, four at the rear) help slow the Performante from 62 mph to a stop in 101.7 feet, A stiffened passive and active suspension, electromechanical power steering, all-wheel drive, and three drive modes (Strada for traction and stability, Sport for rear-wheel biased orientation enabling oversteer and easy drifting, and Corsa for track results) help ensure drivers don’t have to make such evasive braking maneuvers to avoid burying the pretty nose in a guardrail. The exterior is an artistic medley of carbon fiber, forged composites, angular aerodynamic elements, and odes to previous Lamborghini models. Meanwhile, the interior remains focused using lightweight forged composites, Alcantara, and a configurable digital cockpit to show the driver which system is doing what at any given time. Of course, none of this comes cheap because the Huracan Performante will start off at $274,390 when it goes on sale later this summer. Regardless of the massive price, it’s much cheaper than the previous Nurburgring record holder, the $845,000 Porsche 918 Spyder. If Lamborghini makes a limited number of Performantes, we wouldn't be surprised to see them command a hefty premium later on.